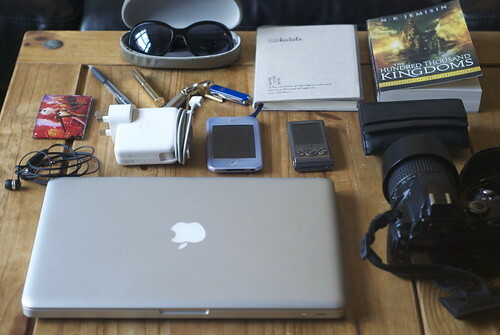 As you all know, I’m quite a geeky girl with my fair share of gadgets and stuff I want to take with me when on the road. I’ve always been addicted to bags, which I think is to compensate for my lack of being able to have tons of shoes (I’ve said this in a previous post: my feet are 2 different sizes, so buying shoes is a nightmare). After getting a new laptop bag for Christmas and talking about that new bag to friends, I realized there aren’t that many reviews out there about girly laptop or gadget bags. Some manufacturers still don’t even consider designing for women, with all their laptop bags still being huge and clunky, completely disregarding the female physique. However, there are quite a lot of companies out there with brilliant laptop bags for girls, but most of them aren’t reviewed that often. So I’m starting a new series of blog posts featuring all types of girly laptop and gadget bags. I’ve always loved having different bags for different occasions. Unlike the more fashion focused girls though, with ‘different occasions’ I don’t mean ‘one bag to match my pink shoes and one bag to match my blue coat’ (generalizing a bit here, but I think you get my drift). No, what I mean is the combination of gadgets you take with you and the amount of space that requires. For me that ranges from taking only my wallet+phone with me to going all out and bringing laptop, DSLR camera, book, phone, wallet plus an assortment of cables and other extra stuff. Different situations require different types of bags, and I love having a range of bags from which I can choose from, depending on what I’m taking with me. 1. How much fits in the bag? This is one of the main things I’ve failed to find when researching for bags online. You often can find out what size laptop fits in the bags, but beyond that? Will my clunky wallet fit? Or my DSLR? I’ll try to give you a good idea of what can and can’t fit in the bags. 2. How comfortable is the bag? Some bags look gorgeous, but will be a nightmare after carrying it for 2 hours straight. 3. How large is the bag? I’ll be posting photos of me carrying each bag to give you an idea how it looks like in comparison to a ‘normal’ person. I’ve seen a couple of bags online that looked great, only to find out that they were HUGE and looked ridiculous on me. 4. How many compartments/zippers etc? I’m a little bit neurotic what this concerns, but I can’t be the only one. I hate having to dive into my bag attempting to find my keys, lipstick or phone, so I prefer bags to have at least a small pocket or something where I can put stuff in besides the main compartment. 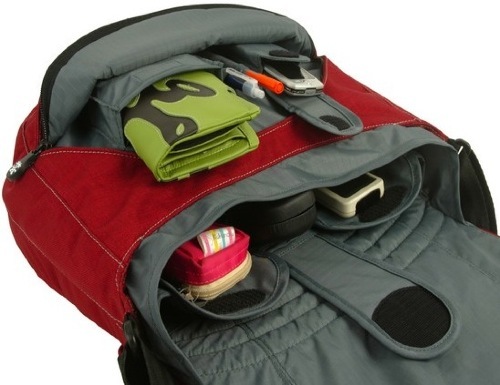 My first review for one of Crumpler’s latest bags will be up later this week, so keep an eye out for that post!